Visiting Jordan is an adventure in itself, and there is no better way to get to know this fascinating country than by diving into its culture. The Jordanian people are known for their warmth and hospitality, making it easy for visitors to forge connections through food, traditional activities, and alternative modes of exploration. 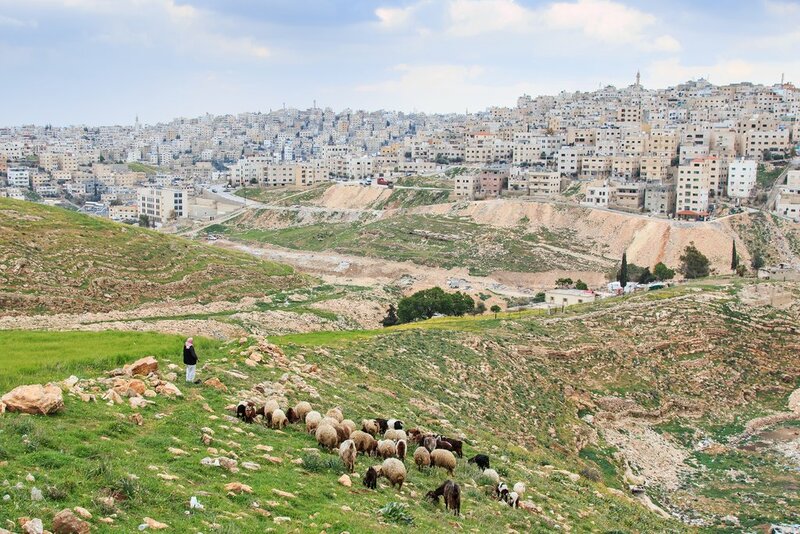 Read on to discover five of our favorite local experiences in Jordan. 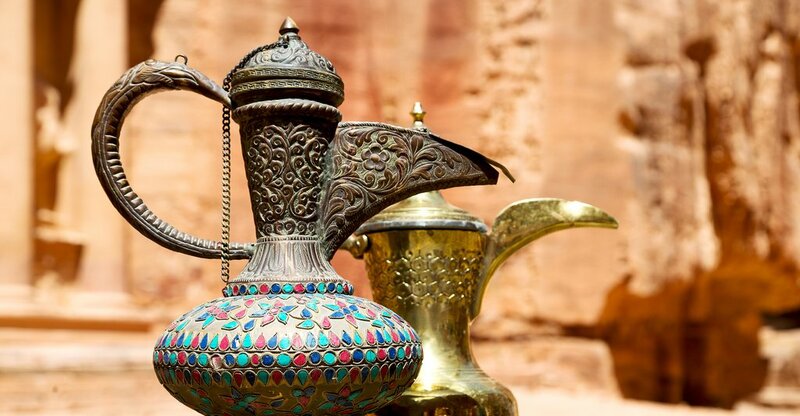 Coffee and tea play a major role in Jordanian culture and hospitality; if you have any doubt, just head to one of the country's many beloved, bustling cafés. Jordanians throughout the country gather in these spaces to chat over hot, sweet tea with mint or sage, cardamom-spiced Arabic coffee, or the super strong Turkish brew. If you're in Amman, head to Darat al-Funun, located in the city's cultural center. You'll likely be sitting among local artists and students at this bohemian spot, surrounded by gardens and Byzantine ruins. Another great café is found in an unlikely place: above the famous Monastery structure in Petra. 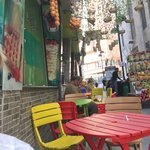 Though its location may indicate a touristy vibe, it's actually the perfect place to get to know the local Bedouin people who run the shop while hearing stories about Jordan's history. There's something special about exploring a new destination in the open air. This is especially true in Jordan, a country made manageable by its diminutive size and solid outdoor infrastructure, with an awe-inspiring variety of natural areas that beg visitors to get out of their vehicles and into the wilderness. The Jordan Trail, a walking path that spans the entire length of the nation from Um Qais in the north to Aqaba in the south, offers more than 600 kilometers of trekking through beautiful, diverse landscape. Additionally, the Jordan Bike Trail was completed in 2017 and follows the same north-to-south trajectory. Guided group tours are available for everything from easy half-day strolls to multi-day rides. 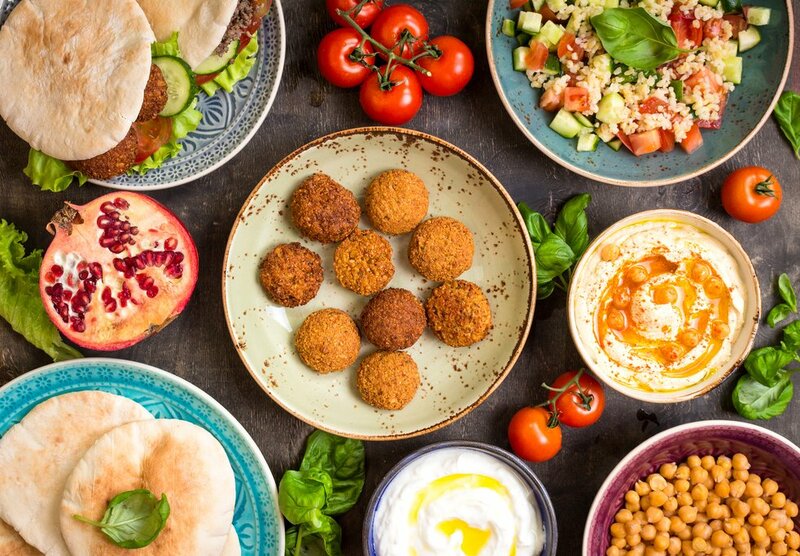 For a literal taste of the culture, travelers can recreate favorite regional dishes in classes taught by bona fide Jordanian chefs. Reserve a spot at the popular Beit Sitti, or "Grandmother's House," a cooking school located in one of Amman's oldest neighborhoods. Open for breakfast, lunch, and dinner options, students will learn basic technique and preparation before enjoying the traditional meals they create together. Petra Kitchen in Wadi Musa offers multi-evening culinary courses, in which students do more than just learn to cook the food: they also take part in harvesting from the garden and participate in chef-led trips to the local market. From savory mandi to vegetarian mujadara, you'll leave with a pocket full of recipes to share with friends back home. Many of Jordan's people still engage in traditional crafts, skills, and livelihoods, and spending time shadowing a local expert always proves to be an incredible experience. The Feynan Ecolodge, located on the edge of the world-renowned Dana Biosphere Reserve, offers a full-day experience interacting with local shepherds, walking and talking in the valley as the goats and sheep roam the countryside. 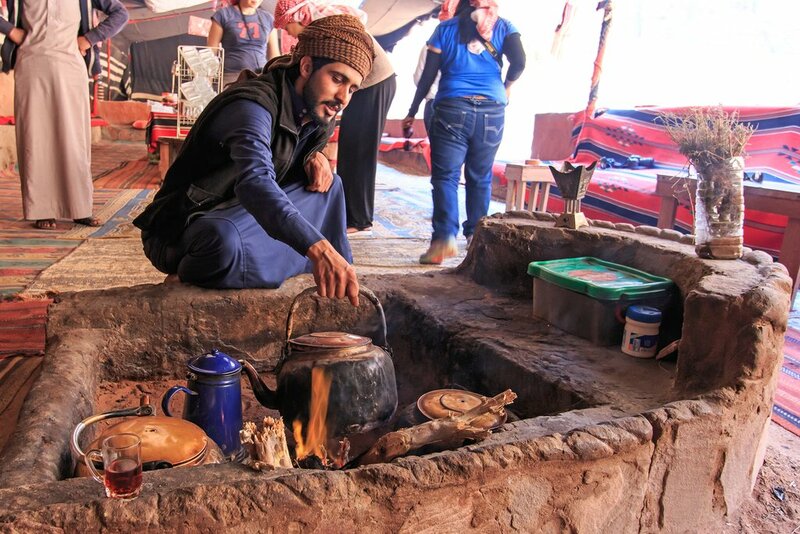 Visitors can also spend time with Bedouin artisans, learning the process of making kohl, baking bread, and in early summer, the weaving of customary goathair tents. Near Jerash, travelers can pay a visit to the Orjan Soap House, where women practice the art of natural olive oil soap-making using locally sourced ingredients. The best part? Proceeds from soap sales go to conservation efforts for the surrounding Aljoun Forest. You can stay in a regular hotel anywhere you travel, but if you're craving authenticity, you may want to opt for one of Jordan's more unique lodging options. If you're interested in nature and biodiversity, you can check out the uber-sustainable Feynan Ecolodge in the Dana Biosphere Reserve or soak in the healing waterfalls of Evason Ma'In Hot Springs Resort. 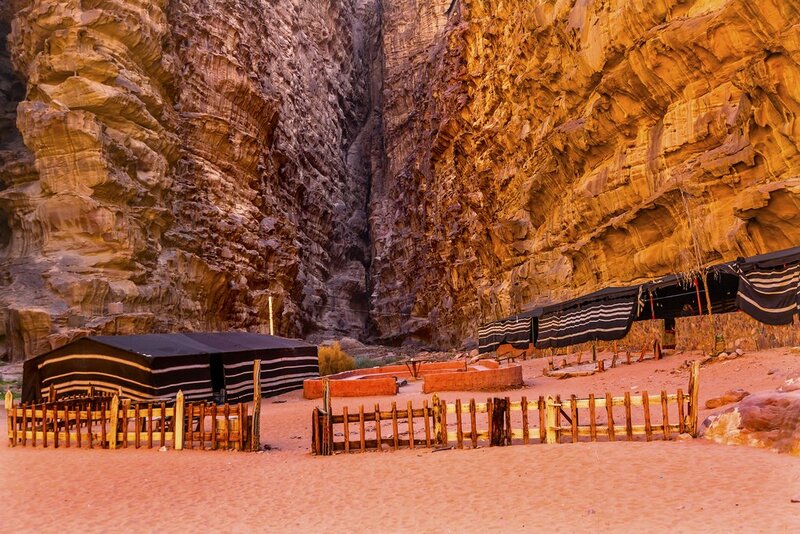 For an immersive cultural evening, spend a night camping the traditional Bedouin way in the Wadi Rum desert, or opt for a homestay with a family in a small town. No matter what your priorities are, you won't regret spending a night in a setting that gets you closer to the qualities that set Jordan apart.